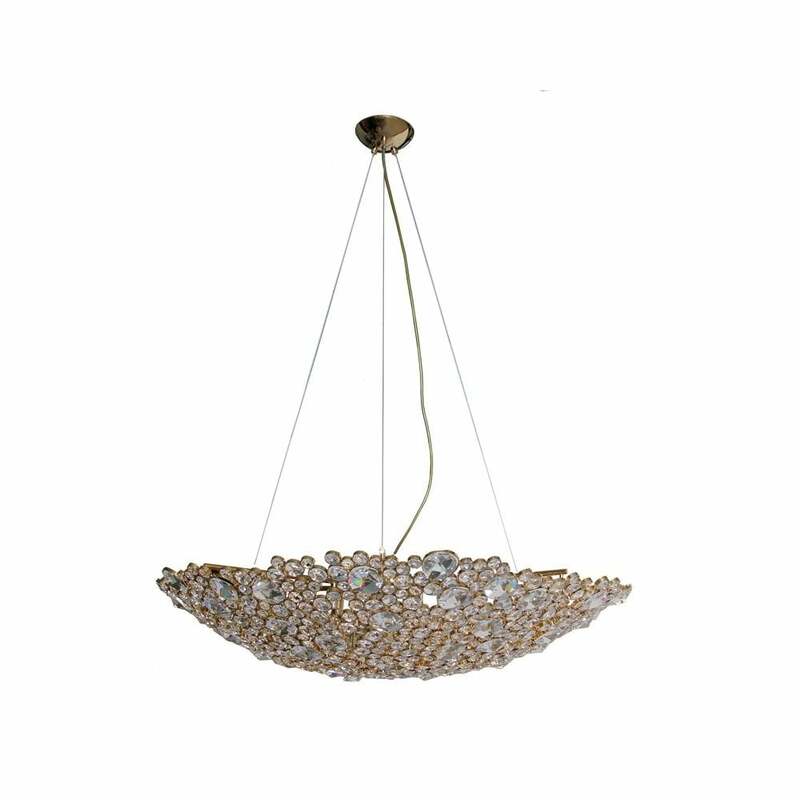 The elegant silhouette of this chandelier takes its brilliance from the skilful application of the crystal. The eternal circles are individually wrapped in brass and placed with astonishing attention to detail. The end result is an extraordinary source of light.